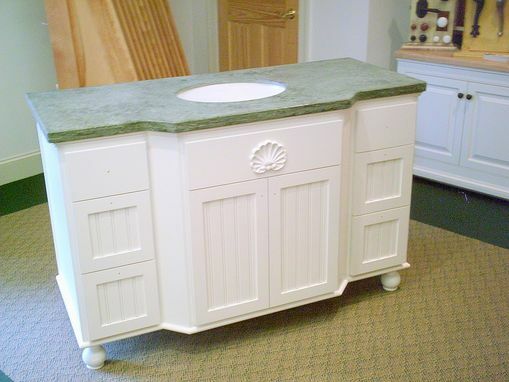 This vanity was built for a client building a new home. The most important requirement was the unit had to be counter height (36"). The break-front design offers more storage space inside as well as esthetics. Other features include self-closing doors and "soft-close" drawers. Wainscoting and a shell applique give the unit the look the client wanted. 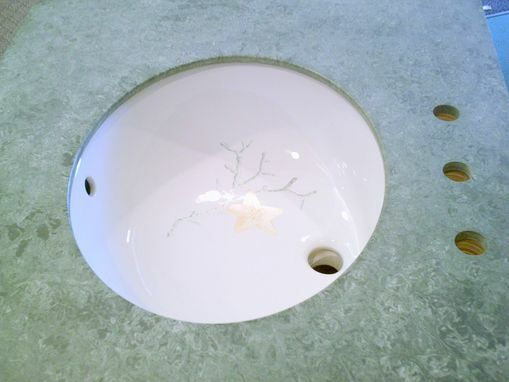 The top is a solid surface material, comes in a variety of colors and will accept under-mount or surface mount sinks.